This page contains information about learning resources that are self-paced or self-directed. It also includes tutorials on topics of interest to the NC library community. This LibGuide is a companion to a webinar given in January 2012 on beginning cataloging for copy catalogers; including a link to Amazon.libcat, a tool that will build a MARC record for many material types from an Amazon record. Collection Development Training (CDT) provides practical training in how to perform collection development activities in public libraries. Each activity is presented as a separate section with links to helpful Internet sites, lists of books and articles for further reading, and definitions of key terms. While this training may be useful to librarians in a variety of libraries, this site is intended primarily for librarians and other library staff working in Arizona's small and rural public libraries. Developed by the State Library of Texas, the CREW Method has provided guidance to librarians and staff in small and medium sized public libraries about how to weed outdated and no longer useful materials from their collections. Infopeople is the training arm of the California State Library and offers online courses and webinars on many library related topics. Some content is specific to California, but much is relevant to the library community at large. Internet Library for Librarians has been one of the most popular information resource sites for librarians since 1994. It is an information portal specifically designed for librarians to locate Internet resources related to their profession. It is an award winning site and has been featured on hundreds of websites and recommended by hundreds of libraries and library related organizations, including the Library of Congress and OCLC. Internet Library for Librarians provides links to more than 4,000 resources. All the resources are recommended, selected, and reviewed by librarians. Each entry has a full description of the goals and /or scope of the resource, as well as the contact information if provided. Libraries Transforming Communities (LTC) — an initiative of the American Library Association — seeks to strengthen librarians’ roles as core community leaders and change-agents. This free online program provides additional resources in library knowledge and skills for staff members who have no formal education in library science. This program is a supplement to the ABLE courses; however, they are not tied to the completion of the ABLE courses and concentrate on serving youth. Free, foundational training, designed specifically for public, academic or school librarians worldwide, to help them gain the knowledge and skills needed to create inclusive and accessible libraries that meet the needs of all students. This unique training site allows librarians to designate their library type and location (state) on their registration form and receive content that is tailored just for them. In addition, training can be customized for individual or group use. The site is free and open to all who can benefit from this training. Funding support for Project ENABLE was provided by the Institute of Museum and Library Services (IMLS). The Public Library Directors 101 series of on-demand webinar recordings introduces the many and unique facets of public library directorship. Four recordings provide a broad overview that both inform and inspire. “Your New Role” covers ethics, values, and leadership – all important traits for public library directors. The “Community Relations” module introduces marketing, public relations, and outreach from the public library director perspective. The third installment of the series “Planning and Project Management” discusses essential steps in the strategic planning process, the benefits of strategic planning, and tools for successful project management. The final module, “Asset Management” covers management of the varied assets of library systems, including staff, buildings, collections, and budget. The modules vary in length from 11 to 28 minutes. Whether you're completely new to genealogy research or you're a seasoned pro, there's always more to learn. In this class, the librarians at the State Library of North Carolina take you through some of the best sources and strategies for conducting an organized and efficient search for your family's history both online and in libraries and archives near you. Provided by the Gradusate School of Library & Information Science, these online workshops are asynchronous, which means you can do the work on your own time, whenever is convenient for you. Some instructors will post all the materials at the beginning of the workshop, and some will post incrementally over the course of the workshop, but all require regular participation. Welcome to Smart Investing: Reference Strategies and Resources, an online training course available to all librarians who would like to improve their reference strategies and knowledge of financial literacy concepts and resources. The goal of the course is to promote confidence and competence in responding to your library patrons' questions on personal finance and investment. The Trustee Toolkit: Hiring a Library Director is intended for use by library board members or trustees who are faced with the important task of hiring a new leader to run their library. The need for a comprehensive resource was addressed by creating this user-friendly toolkit. Hiring a director is one of the primary responsibilities of many boards. A process is important for success, setting a trajectory for the future course of the library and the community it serves. While the hiring process may be prescribed by local state and municipal laws and rules, the toolkit materials were created and selected because they apply broadly to most situations. Sample tools and templates are a starting point for boards and are intended to be modified for local use. The resource includes many templates, including sample job descriptions, recommended interview questions, and a sample offer letter. Developed by staff at the State Library of North Carolina, these short videos provide an introduction to the use of online resources available at the State Library's Government and Heritage Library, such as NCpedia and the North Carolina Newspaper Locator. Welcome to the learning management site for WebJunction's continuing education opportunities. Access to WebJunction’s library-specific courses is available for free to all library workers and volunteers across the nation. All learners will need to create a new account. Begin by selecting Log in at the top right of this page, and then Create new account. Once you’ve created your new account, explore the catalog of library-focused self-paced courses and webinars. Certificates of completion will be available to you after you have completed any course or webinar that you enroll in from the catalog. File naming is an easy first step to long term preservation. 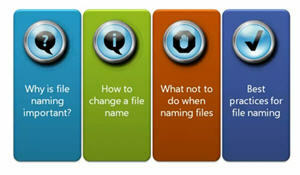 Learn why you should care, and some easy steps to keep your files organized. This video walks you through how and why you should save your Facebook profile, posts, photos and videos. This video, designed for a general audience, is part of the State Library of North Carolina's "Inform U" series. NCpedia highlights North Carolina's unique resources, people and culture to enrich, educate and inform. Newspapers are important resources for genealogy and history researchers. 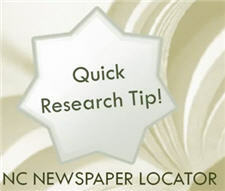 The North Carolina Newspaper Locator can help you narrow your search to microfilmed newspapers held at the State Library's Government and Heritage Library. Learn how the tool can help you find newspapers published in cities and/or counties in a particular year or range of years. The State Library of North Carolina offers access to Skillsoft through our partnership with WebJunction. This learning management system provides access to online self-paced courses and instructional videos. There are thousands of available resources on topics that range from using Microsoft Office and Windows to leadership essentials and creating budgets. Haven’t tried it yet? Get started by…. Click on the Register link near the bottom of the page. Complete all fields of the registration form, making sure to select State Library of North Carolina as your sponsor. Affirm and submit the registration form. You will receive an email acknowledging your request. Within two business days, your account will be reviewed and when it is an approved, you will receive an email notification. Once approved, you can log in and start learning! After logging in, you will be on the home page. To find learning opportunities, click on The Library link at the top of the screen to browse the courses, videos and job aids. You can also use the Search function at the top of the page to search all of the available content. A course, video or job aid can be launched directly from Search or the Catalog listings, or you can add it to your Learning Plan to come back to later. The Learning Plan allows you to create a personal learning plan of the courses you wish to take. Once you begin using the courses, you can print certificates of completion and reports of your learning history in the Learning Transcript section. Here you will see both courses you have launched and are still working on, as well as courses you have completed. 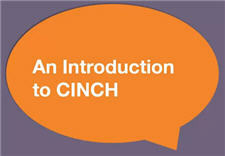 Please contact Lauren Clossey, Continuing Education Consultant, with questions.